This Winter's line up has been full of different kinds of emotions and feels you can name. Nostalgia, happiness for second season and surprise. 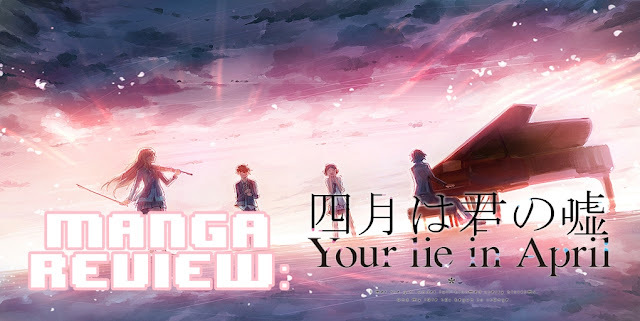 Now, if you are the type who doesn't want cliffhangers and want to watch a series in one go, then this post is for you, you can bookmark this for future reference once winter anime line up is over except those titles that will go on till next season. Synopsis: The romance story centers around Hana Natori, an earnest, good-natured 25-year-old woman whose cousin refuses to go to high school. Hana takes her cousin's place and attends the high school. On her first day, though, Hana's ruse is discovered by her former high school classmate Okito Kanie—who happens to be the high school's world history teacher. Synopsis: Mari Tamaki is in her second year of high school and wants to start something. It's then that she meets Shirase, a girl with few friends who's considered a weirdo by the rest of the class and nicknamed "Antarctica" since it's all she ever talks about. 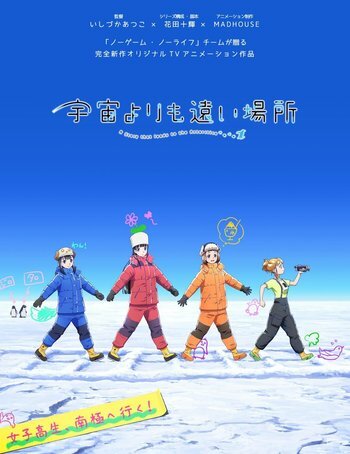 Unlike her peers, Mari is moved by Shirase's dedication and decides that even though it's unlikely that high school girls will ever go to Antarctica, she's going to try to go with Shirase. My Thoughts/Reviews: This anime is the most promising this season. I love this anime to bits. The realism they have put on this series is relatable and every episode is very well thought. You can also learn a lot of adulting lessons coming from this anime. My Thoughts/Reviews: I added this to this list despite how the plot is cliche and stuff because the story and pacing is worth to watch! Synopsis: Fourteen-year-old Sakura starts junior high school along her friends, including Syaoran, who had just returned to Tomoeda. 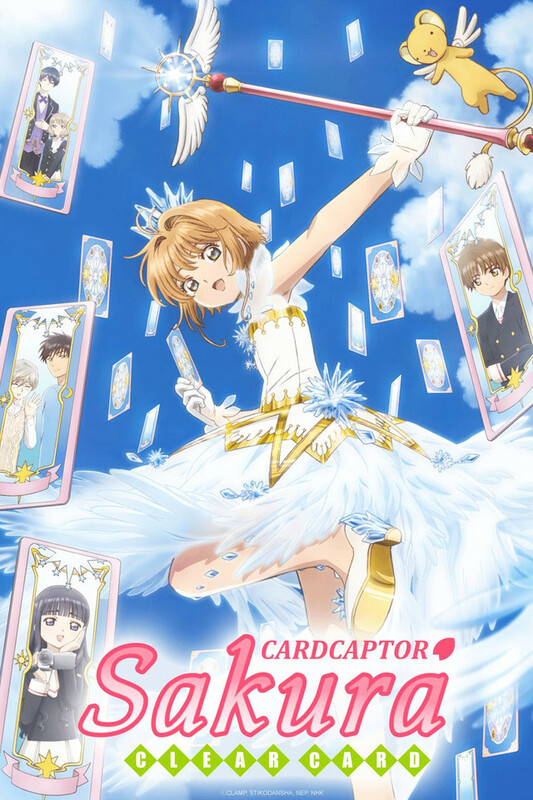 After having a dream with a mysterious cloaked figure, all of Sakura's cards turn blank and are rendered powerless, thus she starts her quest to find out what is wrong. In doing so, Sakura and her allies discover and capture new transparent cards using a new key. 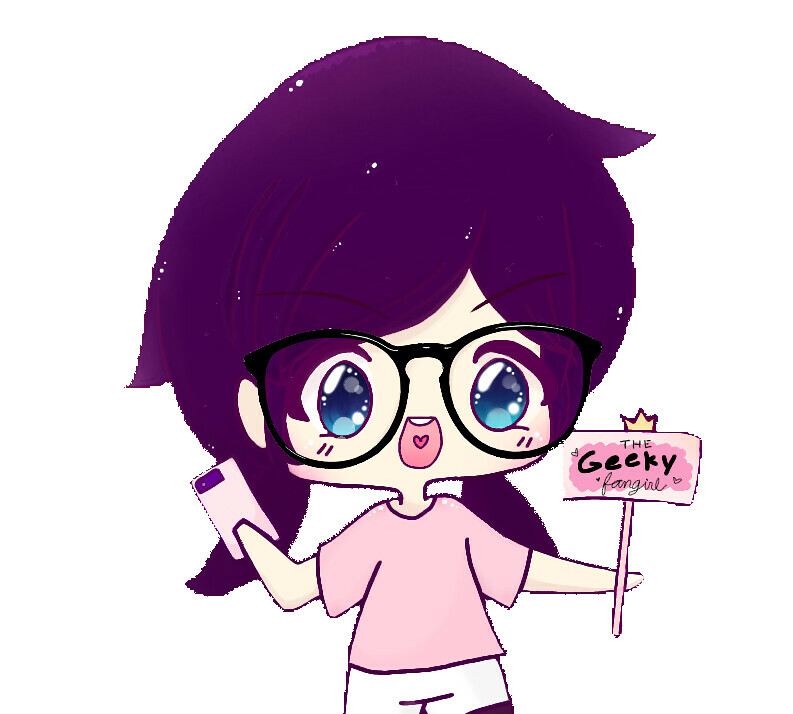 My Thoughts/Reviews: Read my first episode impression here: LINK for you to know how every 90's kid are rejoicing for this anime coming back this year. Synopsis: The story is set in the distant future. The land is ruined, and humanity establishes the mobile fort city Plantation. Pilots produced inside Plantation live in Mistilteinn, also know as the "birdcage." Children live there knowing nothing of the outside world or the freedom of the sky. Their lives consist of battling to carry out missions. Their enemies are mysterious giant lifeforms known as Kyouryuu, and the children pilot robots called Franxx to face off against them. For the children, riding the Franxx proves their existence. My thoughts/Reviews: The most hype mecha anime this season. You can read the inspiration of the names of the mecha/franxx: LINK and some fan theory of the ending of this beautiful anime here: LINK. My Thoughts/Review: This series is not for the faint hearted. It has a solid and awesome plot but some scenes may be very disturbing. Nevertheless, it's worth to watch this legally on Netflix. Synopsis: After their parents are killed in a plane crash, Ryuuichi and his younger brother Kotarou are taken in by the chairman, who they never met before, of an elite academy. Ryuuichi becomes the school daycare's new babysitter. My Thoughts/Review: The most heartwarming, tearjerker anime this season, well, because of babies. Every episodes are full of, "ahhss!" Please don't miss this one, it's a very cute series. Synopsis: A collection of animated horror stories based on the works of Japanese artist Junji Ito. My thoughts/reviews: If you have been a fan of Junji Ito, finally there's an anime adaptation to his spine-tingling, sleep-depriving stories. Please watch it with other horror fans and don't watch it at night. Synopsis: Living by this principle, the middle schooler Nishikata gets constantly made fun of by his seat neighbor Takagi-san. With his pride shattered to pieces, he vows to turn the tables and get back at her some day. And so, he attempts to tease her day after day, only to find himself victim to Takagi-san's ridicule again sooner than later. Will he be able to make Takagi-san blush from embarrassment even once in the end? My Thoughts/Review: Finally an anime adaptation of this title. Anime fans has been labeling Takagi-san as one of the best waifu this season. Story wise, transitiona and dialouges are thumbs up! Synopsis: Akira Tachibana is a soft-spoken high school student who used to be a part of the track and field club but, due to an injury, she is no longer able to run as fast as she once could. Working part-time at a family restaurant as a recourse, she finds herself inexplicably falling in love with her manager, a divorced 45-year-old man with a young son. My Thoughts/Reviews: This might be a bit cringy but romance is romance and age doesn't matter so if you are looking for a bit 90's animation feels, this one is for you! Warning: This post may contain spoilers. Read at your own risk. If you haven’t watch Darling in the Franxx from episode 1 to 5, I have warned you. Darling in the Franxx is a story about a boy named Hiro also known as Code: 016, was once a child genius, however failed and was fallen behind. One day a mysterious girl known as 02, with horns growing out of her head appears before him. The story is set in the future, where land is ruined and humanity established the mobile port city called Plantation. The Pilots produced inside Plantation lives in Mistilteinn, known as “Birdcage”. Children live there without knowing what the outside world is. Their life is about battling and carrying out missions. The children pilot robots called Franxx and their enemies are called Kyoryu. The thing about piloting a Franxx is it takes two people to pilot it, a male and female. For this children, riding the Franxx is the purpose of their existence. 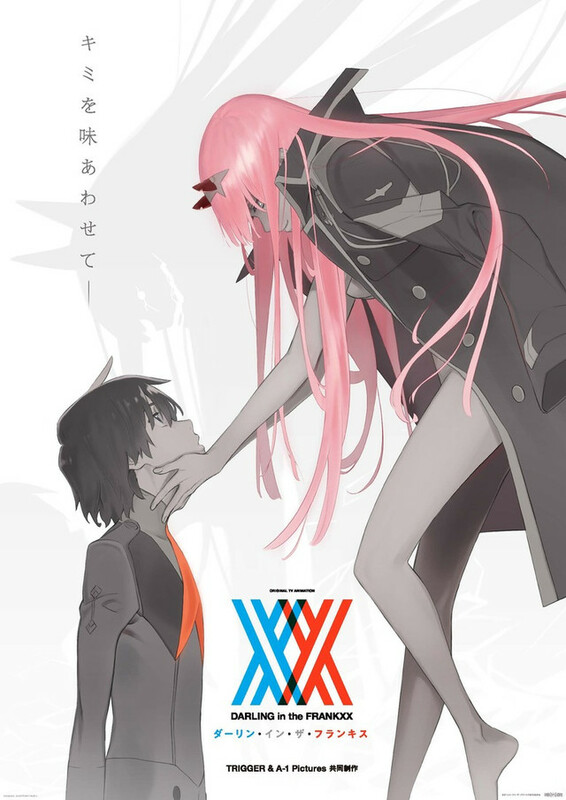 I posted a fan theory about the inspiration of the Franxx name, you may read it here. 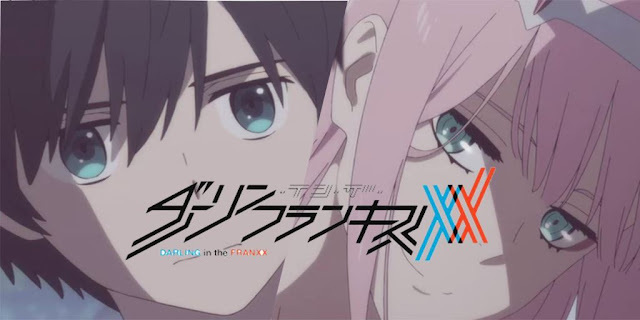 For fans that has been following the series ever since episode one, you know what has been going on about 02 as a Stamen-Killer, she killed every partner she has after the third ride, now, now, from episode 4, Hiro and 02 has partnered twice already. What will happen after they piloted Strelizia the third time? Hiro will become half Klaxosaur. Just like 02, he will transform into a half-Klaxosaur and will eventually grow horns too. However, he will die or will be in a coma. Another angle that can support this theory is on episode 5 the scene where they are surprised how Hiro is still alive for having abnormal yellow blood cells count. 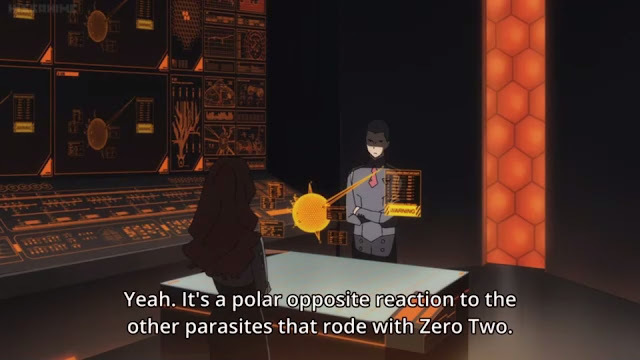 Maybe, Hiro’s body composition is different from the other two parasites that rode with 02, he might have a Klaxosaur blood all along. Or he was infected by 02 by the kiss on episode 1. 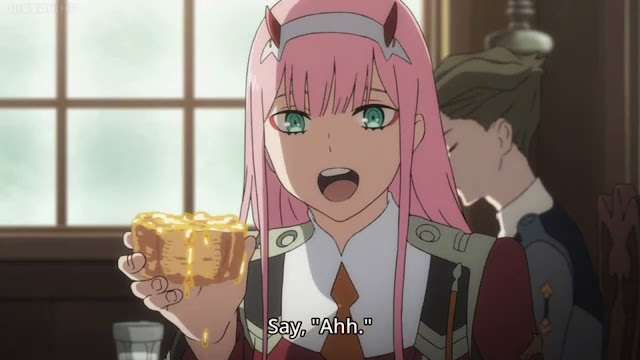 Hiro and 02 will Escape from the Plantation. 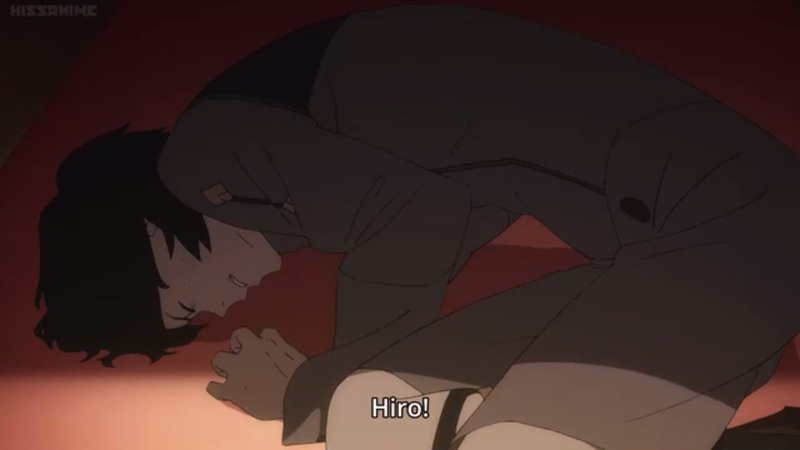 Hiro is now recovered or after surviving the third ride with 02 on Strelizia, both of them will escape the birdcage and will rebel, nah. They will find their own self. Both of them will see the outside world but eventually captured again. What do you think about these theories? Do you agree or do you have something to add? Feel free to leave your theories on the comment section below! I met the girl under the full-bloomed cherry blossoms and my fate has begun to change. That was the catch phrase or the English title or whatever, basta of the newly ended manga series that made me feel again of what I feel on Clannad, AnoHana, Angel Beats! and all the anime who made me feel like riding a roller coaster of emotions. This is purely my personal opinion of the series so read at your own risk. If you find some grammatical and clerical errors, well, sorry, grammar nazis, I'm not perfect but I'm doing my best in expressing myself in this language. Hahaha. If you haven’t watch or read Shigatsu wa Kimi no Uso, I am warning you, this blog entry might contain spoilers that are bad for your heart. The story is about Arima Kosei, a piano prodigy at a young age who always wins on all the piano competitions and every child musicians knows him. But when his mother died, he had a mental breakdown and suddenly stops playing at the middle of a piano competition. After that he hadn’t played the piano ever since. The death of his mother resulted him not to hear music anymore even though his ears are perfectly fine. It’s like he psychologically acquired a hearing illness. Years later, he still didn’t played the piano but was contented with the companionship of his friend Tsubaki and Watari not until she met the girl under the full-bloomed cherry blossoms that changes his fate—Miyazono Kaori! Kaori is a lively, pretty, free-spirited violinist who plays the violin the way her personality reflects her. She made Arima played the piano again and led him back to the world of music and discovered that there is more to playing the piano, following every notes written on the score but rather playing by your heart and how the audience wants to remember you while you are on the stage being you. HOW AND WHEN DID I FOUND OUT ABOUT THE SERIES? So basically, I found out Shigatsu when the summer animes were almost done, I’ve read it on the Fall 2014 charts and thought to myself that the plot is quite interesting. The first episode was so entertaining. The art is so awesome and Kaori is just so pretty. Plus, the opening is one hell of a catchy song! I was like, ‘Gosh, this is like Nodame Cantabile young version’, but it was nothing like Nodame in the next few episodes, very different. The idea of comparing the two said series might came from the idea that the two series involves classical music, piano and other instruments. But whatever, as usual the agony of waiting for the next episodes is a very tedious cycle, so I decided to read the manga in advance. It was after the fifth episode that I decided to read the manga. It was so awesome because it updates every week. The advantage of making Shigatsu into an anime is that we have the chance to listen to what these certain classical pieces are, I mean when I was reading the manga, I can’t really fully sympathize with the characters on how sad Chopin’s works are or how lively Mozart’s pieces is, vice versa, not all are musically inclined or loves classics, some might even thought that classical music are boring or just for lullaby purposes only. Though, in my case I have little knowledge about it because of Nodame Cantabille and all the music anime out there and from my MAPEH class in high school. It really feels so good listening to these pieces on the anime played by the characters. If I’m not wrong (somebody correct me!) the manga ended at Chapter 44 and the anime right now is on episode 20. I’m guessing it will be a 24 to 26 episodes and I’m sure it will be until the last chapter of the manga. It was so good! I’m sure I will be crying again when the last episode of the anime comes out. It’s a worth-reading series. It’s like an endless roller coaster of feels! I like how the transition and the back-story of of how Kosei became a piano genius with the help of his perfectionist mother, who was like a bit villain-ish to me. I really hate the ‘Death Flag’ scene(almost all of the fans and readers hate this too), when Kaori suddenly falls and there’s blood, the ‘Death Flag’. 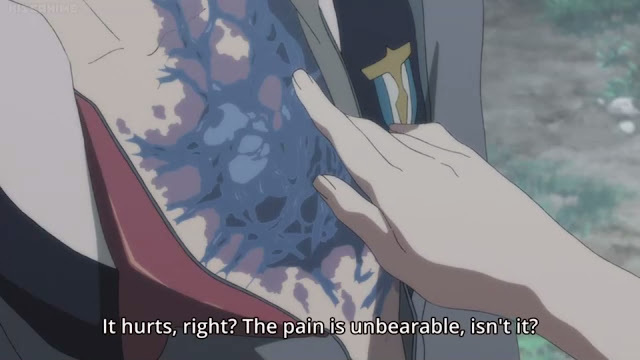 It was the turning point of the series for me, it’s like meeting the future of Shigatsu, I knew this scene. I keep screaming in my head the word no. This can’t be happening. Though, after reading the last chapter, I still can’t accept it, even if deep inside me I knew that it was meant to be, that it was all part of Naoshi Arakawa-sensie’s plan. And then there’s this letter Kaori wrote, a bloody tear-jerker letter! Heck, why did Kaori wrote a damn letter? Why not say it to Kosei personally, huh? Drama? No! I really like Tsubasa’s character too, she was a well planned character for me and most of the time I can see myself in her. She’s a tsuntsun but not so, she is quite pretty too but the boyish type and I know she will take good care of Kosei. Watari is awesome at some ways but he didn’t leave me a certain impact, I think Aizawa Takeshi and Emi Igawa was cooler, aside from they were voiced by my favorite seiyuus! All the other characters are awesome. Kaori will forever stay in my heart; her character will be my inspiration, how she changed Kosei for the better, how she led her back to light. So my personal interpretation of the Title, Your Lie in April, is that it all boils down on the lie Kaori made to Kosei, not only to him but to everyone else, in order for her to get close to Kosei. And that lie is in Chapter 44, read it. It was a heartbreaking lie, why did you lie Kao-chan? It could save up all the tears and the paper where you wrote the letter, nah, kidding on the paper. Truly, love changes people. I just think that it will be good if there’s a bit of straightforwardness in the characters but I guess it was all planned out and it will never be that awesome if something happened out of hand, well, everything happens for a purpose; nevertheless, it was a 10/10. I always write what I learned after reading or watching a series. I get irritated a lot when people say that what otakus usually do is wasting time. Well, the time you enjoy wasting is not wasted time. And we really learned a lot from watching and reading. So, I learned in this series that always be yourself. Play or do things with all your heart without minding the people around you, never do things half-heartedly because you really don’t know what might happen, what if the chances of redoing it will never come. Live everyday as if your last day because you will never know what tomorrow brings. Cliché but it’s true. It really reflects on the anime. Do what you love, there’s no excuse in doing what you really love. Ika nga, kung gusto may paraan! No matter how frail you body is, even if your body is giving up but your mind and soul are pushing you, move forward. So, that’s it, sorry if it was a bit like ranting already but whatever, I enjoyed writing this, finally I can let go of the feels this series gave me, err, maybe not! I managed to finish reading the manga before the anime ended. It was a good idea for me as I felt more ready to experience the ending. I accepted it wholeheartedly, though, it was more surreal in the anime because it's 2D plus all the music. Have you guys read Your Lie In April guys? What's your" thoughts? Disclaimer: This post was originally posted in my first ever BLOG. Migrated it here to keep it organize. I was the one also made all the gif images. ha! those day. This was posted last March 2015.